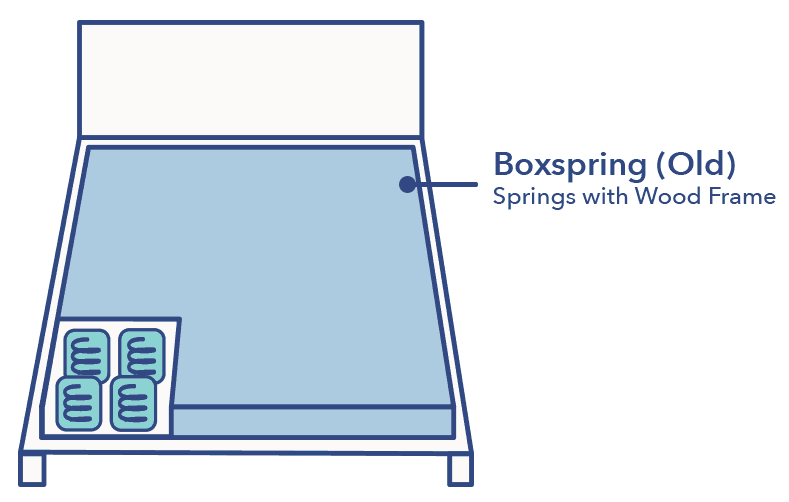 Home » Mattress Guide » Do You Need a Boxspring? It’s a simple enough question: do you need a boxspring with a mattress? With so many advancements to mattress technology, is it really still necessary to use a boxspring? The short answer? Maybe. Whether or not you will need a boxspring depends on your mattress warranty and the type of bed frame or foundation you have. So how do you know when you need a boxspring and when you can do without? This guide breaks down why you need a boxspring, when to know if you need one, and boxspring alternatives. Why do you need a boxspring? Boxsprings serve two basic, but important functions. Foundation – They provide a strong and stable foundation for your mattress. This helps increase the longevity of your mattress by reducing shock, wear, and tear. 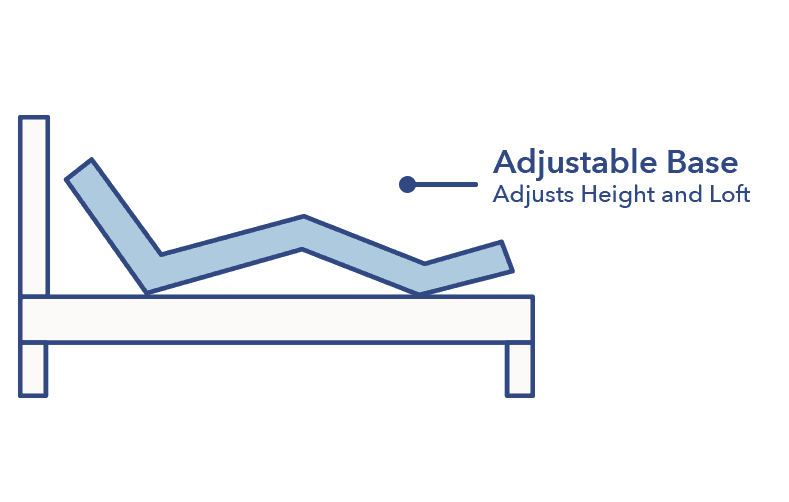 Increased Height – They elevate the mattress off the floor. This simply helps to make it easier to get in and out of bed. It’s also important to note that some mattress warranties require you to use the mattress on a boxspring or platform bed. If you fail to do so, this can void your warranty. Be sure to confirm the details of your warranty before deciding on your foundation and / or boxspring. Most traditional innerspring mattresses always needed a boxspring to maintain their support, but today that’s not necessarily the case. Here are a few scenarios of different bed frame types with a breakdown of whether a boxspring would probably be required or not. 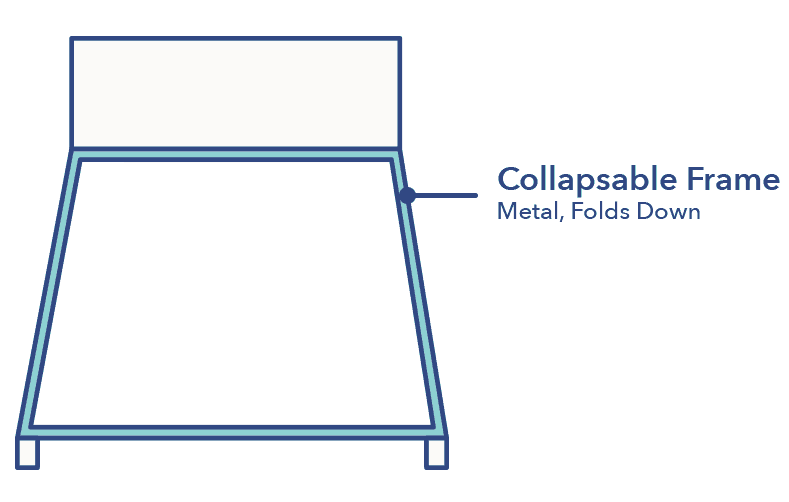 With a collapsible metal frame, you would need a boxspring. 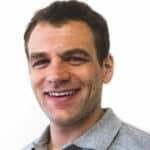 Because there is no support for the mattress beyond the perimeter frame, without a boxspring, your mattress would receive insufficient support, not to mention most likely void the warranty. More supportive that a collapsible metal frame, a reinforced metal frame would not generally need a boxspring. 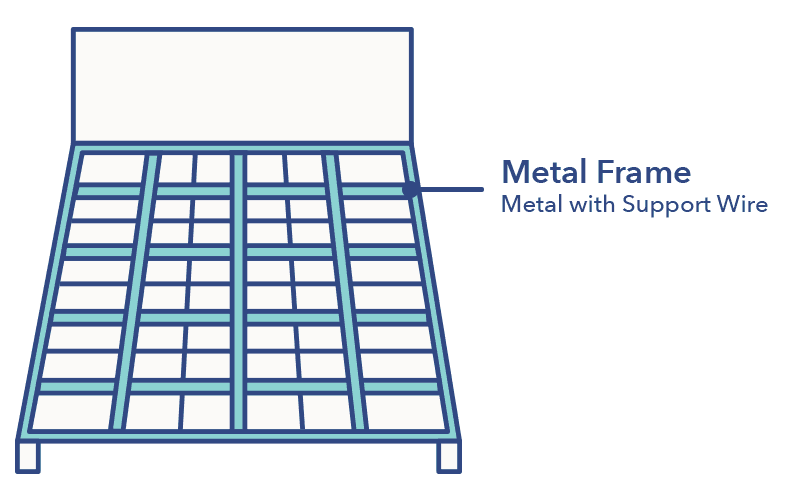 The additional metal supports across the frame help provide even weight distribution throughout the frame. This limits sagging or uneven wear on the mattress and essentially offers the same supportive foundation that a traditional boxspring would provide. Platform beds utilize a solid surface, so you would not need a boxspring. 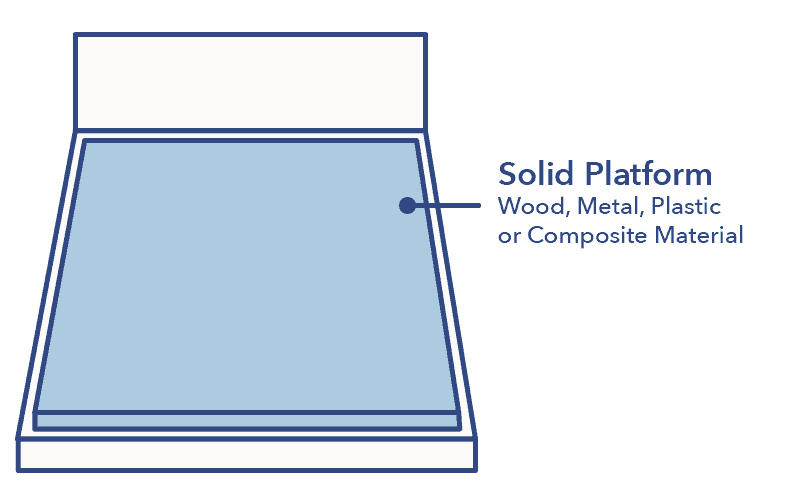 This solid surface accomplishes the same goal of the boxspring by providing a stable platform. Generally, platform beds are lower than a traditional mattress would be with a boxspring, which can be a desirable and modern aesthetic you may want to achieve for your bedroom. However, for older sleepers or those who suffer from back, hip, or joint pain, a low platform bed may be more difficult to get in and out of. Some platform beds are a slight variation of the traditional platform bed. These use slats for support instead of the solid foundation. As long as the slats are close enough together to satisfy the mattress warranty, this frame would not need a boxspring either. As a general rule of thumb, slats should not exceed 4” apart from each other. 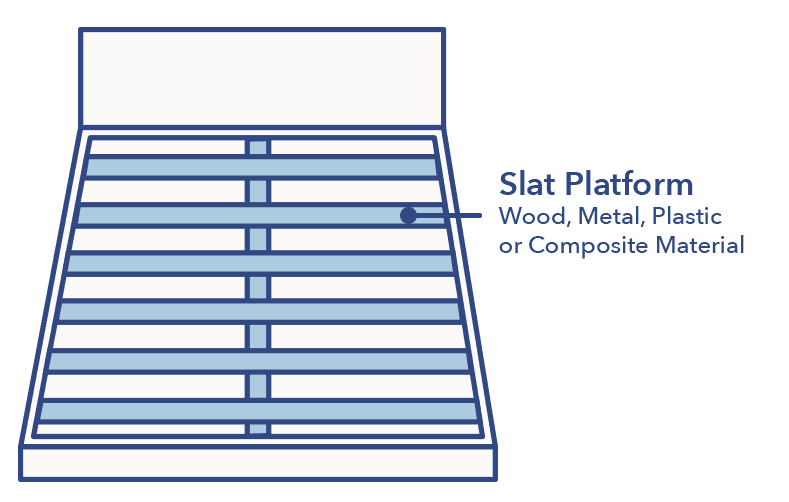 The slats can come flexed or straight and are available in wood, metal, plastics, or even composite materials. Steel slats are going to be the strongest in these types of frames since they create a more rigid support. Lastly, the slat gap is commonly indicated on mattress warranties. Ensure your slat gaps are appropriate to your mattress warranty. Like this look? Check out our eLuxury foundation review for this type of frame. Want the Sleepopolis bed? I use a platform frame from Copenhagen Imports. It’s simple, but very sturdy and well made. – If you have an adjustable foundation, you will not need a boxspring. Adjustable foundations allow the mattress to shift height and angle, reducing stress on your back, internal organs, and breathing. One thing to note: Adjustable foundations cannot support most innerspring mattresses. Despite whether these frame types need a boxspring or not for support, you can add a boxspring to any of these bases (excluding the adjustable base). Some sleepers prefer the increased height that a boxspring provides or like a more traditional look. Boxspring vs. Foundation: What’s the difference? Sometimes, people use the term “boxspring” and other times it’s a “foundation.” So what’s the difference? Basically, in today’s market a boxspring and foundation are the same thing. Originally, boxsprings were constructed with actual springs contained inside of a wood frame (box). Modern manufacturers have found more efficient ways to create lightweight, supportive boxsprings without the springs — say hello to foundations. The words “boxspring” and “foundation” can usually be used interchangeably, assuming no springs are actually used. In the case where you skip the boxspring, your bed frame actually becomes your foundation since it offers the same support. 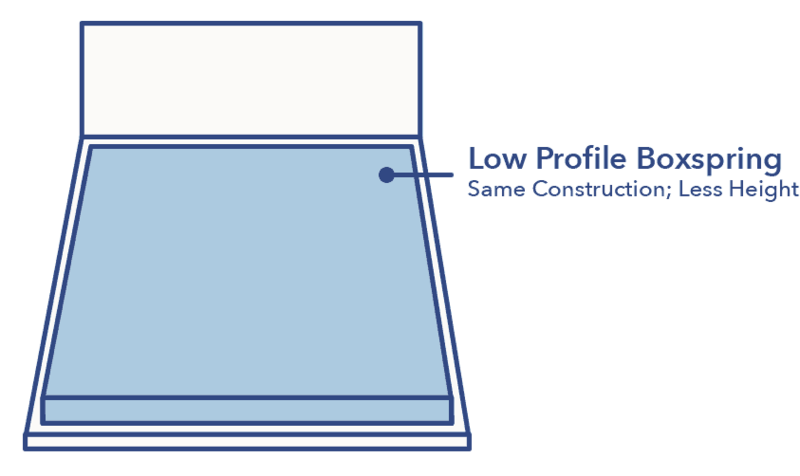 Reduced airflow – Since the mattress sits directly on the floor, it will not be able to expel air and breathe as easily as it could on a boxspring or platform bed. Less hygienic – Everything that gets on the floor can now more easily get on your mattress. This includes dirt, dust, allergens, or even bed bugs or mites. More difficult to get back up – If you’re older or otherwise have trouble getting in and out of bed, having a bed on the floor can make getting in and out of bed more difficult. Void your warranty – Some mattress warranties dictate that the mattress must be on a boxspring or platform bed. If you want to stay protected, be sure to double check the warranty terms. The biggest risk to placing the mattress on the floor is mold. If you live in a moist or humid environment, mold can be a serious issue and one that can ruin a mattress. To reduce the risk of mold, consider adding a mattress encasement to protect your investment. If you aren’t a fan of the traditional boxspring, you may want to consider one of the following boxspring alternative options. Functionally, a low-profile boxspring will act exactly like a traditional boxspring; however, its height is usually about half that of a traditional boxspring. This can allow you to still achieve the benefits of a normal boxspring, with a much sleeker design and style. It’s also a nice middle ground between low platform beds and traditional boxsprings. 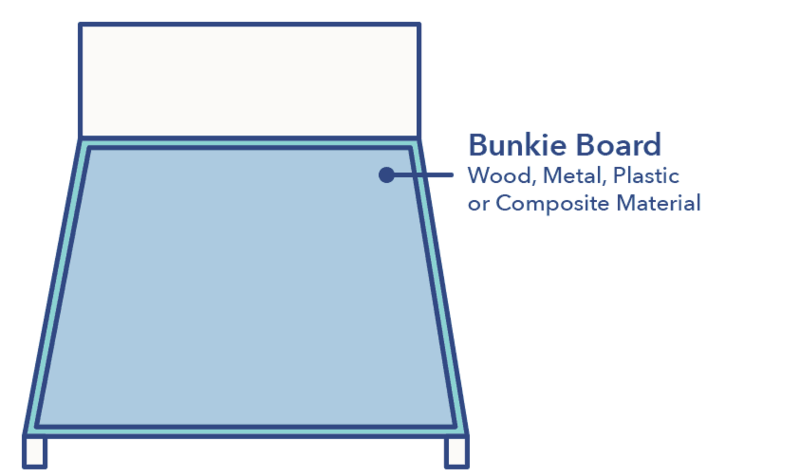 A Bunkie board is a thin sheet of a solid surface (commonly plywood) that sits between your mattress and your bed frame. It provides a solid foundation similar to a platform bed and eliminates the need for a boxspring. If you like the lower look and aren’t concerned about voiding your mattress warranty, placing the mattress on the floor is another option. You may want to get some type of a mat to place it on, as this will help to keep it a bit cleaner. Overall, there are many cases where you can forgo the boxspring and place your mattress directly on the foundation. Mattress warranties can be voided if you don’t take note of what each mattress company’s polices are. Skipping the boxspring altogether or going with a low-profile, thinner alternative can give your bed a sleeker design without sacrificing any support that a traditional boxspring would provide.